There are many types of sore throats. One of them is strep throat. If your throat feels sore and itchy, you could be suffering from this bacterial infection. Anyone is at risk of this infection, but it is most prevalent in children. If you experience any signs of strep throat, seek medical attention for diagnosis and quick treatment. Strep throat can cause kidney inflammation and rheumatic fever. If left untreated, it could lead to painful joints, rashes or heart valve damage. Many people often wonder whether they can contract strep throat from interacting with someone who has it. Let’s find out. Yes. You can get the infection from direct contact. It is spread through direct contact with an infected person. 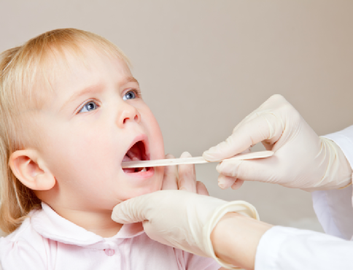 The strep throat bacteria live in mucus droplets and saliva in the mouth. So if you kiss and share cups or cutlery, you could get the infection. It also spreads through cough and sneezing. Touching items used by an infected person such as doorknobs, handkerchiefs and utensils places you at risk. Children: Young children get the bacteria easily through playing and sharing food, toys or other personal items. Spring and fall seasons: The bacteria spread fast in cold weather and dry heat. 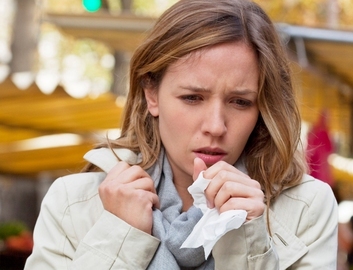 Congested areas: The bacteria spreads quickly when people are in close contact. Difficulty swallowing saliva, food, etc. Since you get a positive answer to the question, "Is strep throat contagious?" you should always know how to handle it to get rid of it faster. To treat strep throat, use proper medications for sore throat, pain relievers and preventive drugs. Antibiotics: Taking antibiotics within 24 hours of infection prevents further infection and reduces the effect of some symptoms. Taking antibiotics curbs the bacterial infection preventing it from spreading to other people. You should feel better within 2 days of taking it. Continue taking the dose until you finish all of them because stopping the treatment early reduces your immunity and creates likelihood for reinfection. Symptom relievers: Reduce pain and fever caused by strep throat with ibuprofen and acetaminophen. For children above 3 years old, you can use aspirin. Avoid using aspirin on children with chickenpox or flu-like symptoms. It might cause Reye’s syndrome, which can be fatal. Rest: why is strep throat contagious? Because of low immunity levels. Getting enough sleep allows your body to replenish its energy and fight the infection. Children and adults suffering from strep throat should stay at home and rest until they feel better. Remember the antibiotic is effective after 24 hours. Drink more water: Prevent dehydration by taking plenty of water. It is advisable to use warm water. This helps to clear the throat making it easier to swallow. Eat smooth and blended foods: Avoid hard foods that hurt the throat. Mashed potatoes, cooked cereals, soups, sauces, yoghurt and puree are things you should eat. Avoid spicy and acidic foods like orange juice. 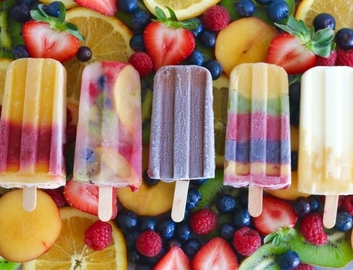 Try cold sherbet, frozen yoghurt and fruit mixes. Gargle with warm salty water: This mixture is an effective antibacterial. Gargle with it and spit. Do this repeatedly for sore throat relief. Moisten the air with a humidifier: Add moisture to the air to reduce bacteria. If you are using a cool-mist humidifier, remember to clean it every day to prevent the growth of molds and bacteria. You can also use a saline nasal spray to clear the mucous membrane. Avoid irritants: Smoking, fumes or sprays irritate the lungs worsening the situation. Also, avoid exposure to cleaning products and other items that irritate you.